The TWU has been fighting a decline in standards across the aviation industry. We are fighting so airport workers will not be condemned to parlous working conditions and to ensure the industry remains as safe as possible for workers and commuters. The Vic/Tas Branch stands with the TWU (SA/NT Branch) as it fights a move to downgrade pay and conditions for security staff at Adelaide Airport. 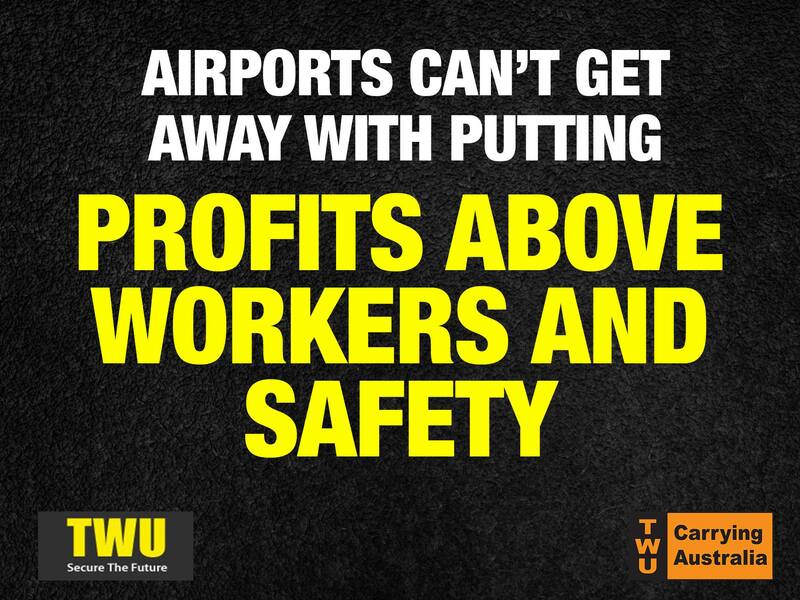 We have to #ChangeTheRules to ensure airports cannot get away with putting shareholder demand for increased profits ahead of worker rights.